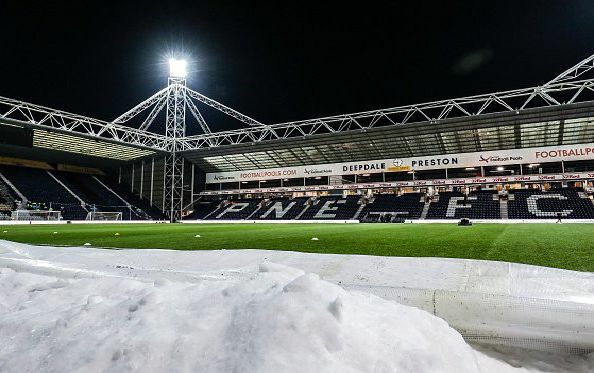 Derby County remained in the Chapionship play-off places after a hard-fought goalless draw at Preston North End on Friday. Harry Wilson struck the woodwork twice in the first half before the Rams were then penned back in the second period. Click on our match gallery by Getty Images to relive some of the action. Alan Browne and Ben Pearson of Preston North End and Tom Lawrence of Derby County in action. Ben Pearson of Preston North End is awarded a yellow card for his tackle against Tom Lawrence of Derby. Craig Bryson of Derby County evades Sean Maguire of Preston North End. Tom Lawrence shoots for the Rams.